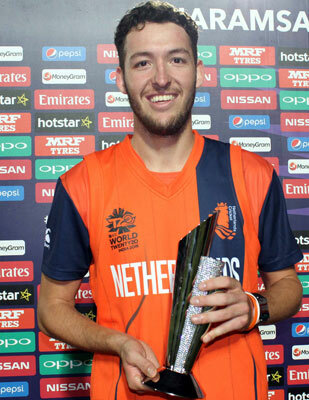 Paul van Meekeren, Roelof van der Merwe, and Ryan ten Doeschate are all included in the 2018 Hong Kong T20 Blitz which gets under way early next month. The three Dutch internationals are amongst 27 overseas players included in the tournament which has grown exponentially in its short life. Other stars include Darren Sammy, Samuel Badree, Wahab Riaz, Ravi Bopara and Luke Ronchi. This year's tournament will be broadcast globally following a successful television deal secured by the organisers. The Dutch trio will be joined by Scotland's Kyle Coetzer who was a revelation in the 2017 edition. The tournament runs from February 6-11 and the quartet will then jet off to South Africa to begin preparation for the World Cup Qualifiers.